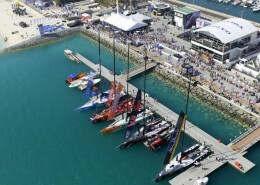 Marinetek supplied three new piers for the Port Hercule marina in the capital of Monaco, Monte Carlo. 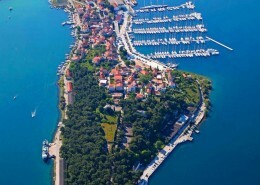 The contract included the construction of the first restructuring phase of the port. The client is Monaco’s state-owned Ports de Monaco- company. Port Hercule is known for its tens of millions worth of yachts, jet-set life and Monaco Grand Prix which rotates the marnia annually.​ It is definitely the world’s most famous yacht harbour. Marinetek was chosen as a supplier in the international competition, which culminated in the technical discussions in Monaco. Marinetek was chosen as contractor for the best technical solution, not because of the price. 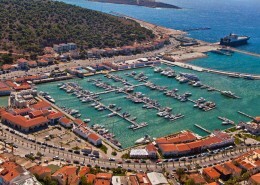 The marinas old and in poor condition pontoons were dismantled in stages and replaced by Marineteks concrete pontoons. The largest units are 6 m wide and weigh over 50 tons. The pontoons are of Marineteks most heavy duty collection and are similar to those carried out by the company’s locations in Dubai’s Palm Jumeirah Palm Island and Florida’s West Palm Beach. Pontoons were anchored to the bottom with flexible rubber cables. Pontoon units were manufactured at Marinetek Croatia factory and shipped to the installation site. The renovation of the port was completed in 2011.